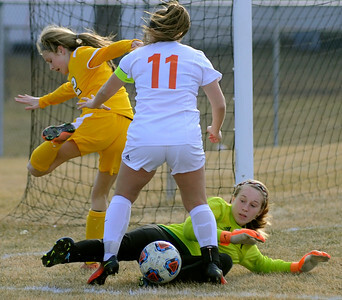 Gregory Shaver for Shaw Media Jacobs goalie Lindsey Cepa tries to knock the ball away from Crystal Lake Central’s Madie Rokos during the second half of a Fox Valley Conference girls soccer game Thursday afternoon, March 22, 2018, at Crystal Lake Central High School. Central defeat Jacobs 3-2. 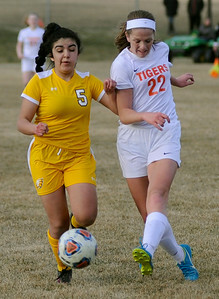 Gregory Shaver for Shaw Media Jacobs’ Hannah Mohan tries to control the ball in front of Crystal Lake Central’s Erica Novy during the first half of a Fox Valley Conference girls soccer game Thursday afternoon, March 22, 2018, at Crystal Lake Central High School. Central defeat Jacobs 3-2. 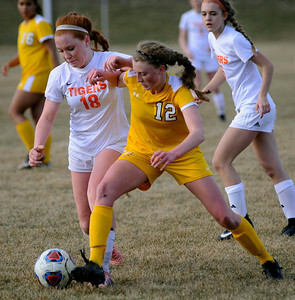 Gregory Shaver for Shaw Media Jacobs’ Hannah Mohan, right, tries to take the ball away from Crystal Lake Central’s Ellie Montford during the second half of a Fox Valley Conference girls soccer game Thursday afternoon, March 22, 2018, at Crystal Lake Central High School. Central defeat Jacobs 3-2. 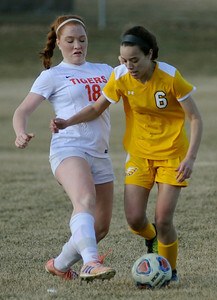 Gregory Shaver for Shaw Media Jacobs’ Baylee Vincent, right, tries to control the ball in front of Crystal Lake Central’s Ellie Montford during the first half of a Fox Valley Conference girls soccer game Thursday afternoon, March 22, 2018, at Crystal Lake Central High School. Central defeat Jacobs 3-2. 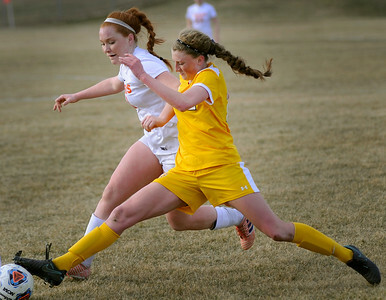 Gregory Shaver for Shaw Media Jacobs’ Hannah Mohan tries to head the ball away from Crystal Lake Central’s Caroline Dayon during the second half of a Fox Valley Conference girls soccer game Thursday afternoon, March 22, 2018, at Crystal Lake Central High School. 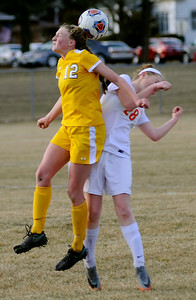 Central defeat Jacobs 3-2. 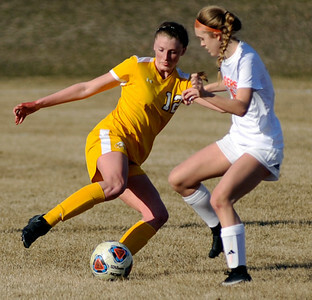 Gregory Shaver for Shaw Media Crystal Lake Central’s Emma Bolowski takes a shot on goal as Jacobs’ Becky Guadagno tries to defend during the second half of a Fox Valley Conference girls soccer game Thursday afternoon, March 22, 2018, at Crystal Lake Central High School. Central defeat Jacobs 3-2. 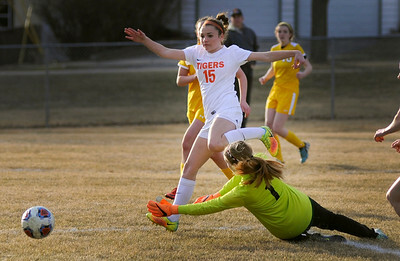 Gregory Shaver for Shaw Media Crystal Lake Central’s Grace Rokes takes a shot on goal as Jacobs goalie Lindsey Cepa tries to block the ball during the second half of a Fox Valley Conference girls soccer game Thursday afternoon, March 22, 2018, at Crystal Lake Central High School. Central defeat Jacobs 3-2. 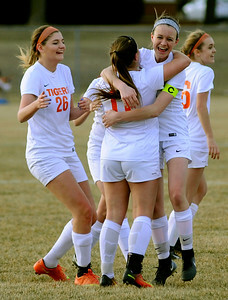 Gregory Shaver for Shaw Media Crystal Lake Central’s Elise Olesn hugs Madie Rokos after Rokes scored the winning goal during the second half of a Fox Valley Conference girls soccer game agains Jacobs Thursday afternoon, March 22, 2018, at Crystal Lake Central High School. Central defeat Jacobs 3-2. 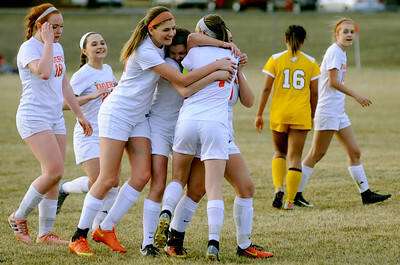 Gregory Shaver for Shaw Media Crystal Lake Central’s players rush to hug Madie Rokos after Rokes scored the winning goal during the second half of a Fox Valley Conference girls soccer game agains Jacobs Thursday afternoon, March 22, 2018, at Crystal Lake Central High School. Central defeat Jacobs 3-2. Crystal Lake Central’s Emma Bolowski takes a shot on goal as Jacobs’ Becky Guadagno tries to defend during the second half of a Fox Valley Conference girls soccer game Thursday afternoon, March 22, 2018, at Crystal Lake Central High School. Central defeat Jacobs 3-2.